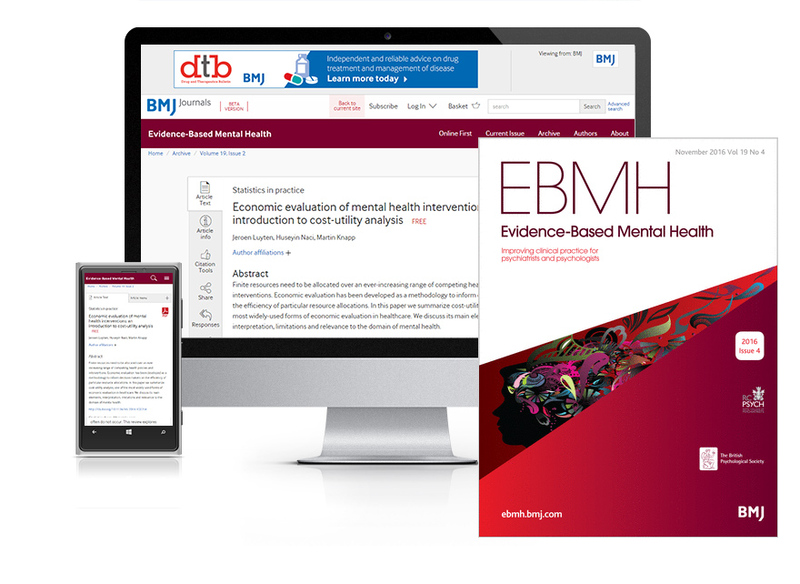 Subscribe today and your institution will enjoy full access to Evidence-Based Mental Health (EBMH) – the British Psychological Society (BPS) and Royal College of Psychiatrists (RCPSYCH) journal dedicated to improving the practice of psychiatrists and psychologists. 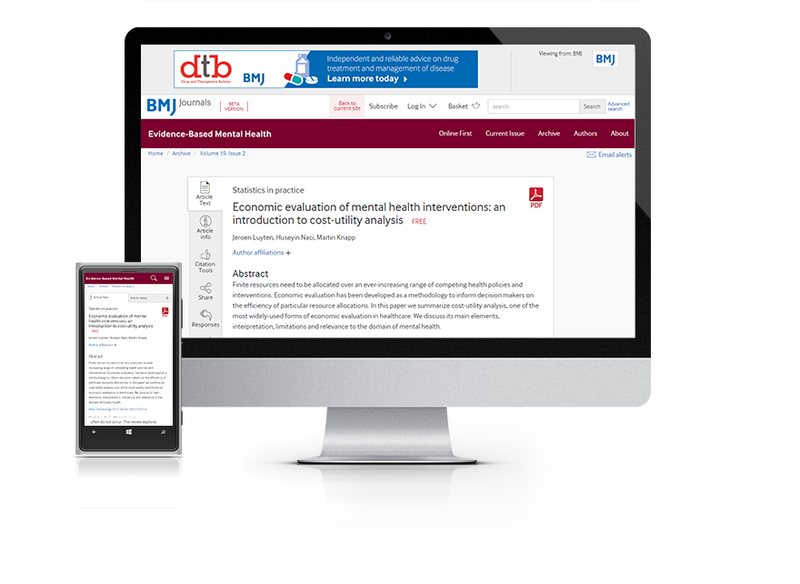 Subscribe as an individual today to get full access to all new and previous content from Evidence-Based Mental Health – the British Psychological Society (BPS) and Royal College of Psychiatrists (RCPSYCH) journal dedicated to improving the practice of psychiatrists and psychologists. You can find out more about the Annals of Rheumatic Diseases (ARD) here. Subscribe today to Evidence-Based Mental Health. Improving the practice of psychiatrists and psychologists. Our subscriptions are annual and last for 365 days from date of purchase – but you will receive a renewal notice before it ends to allow your subscription to continue without interruption. * Prices are not inclusive of VAT. Copyright © 2019 BMJ Publishing Group Ltd, Royal College of Psychiatrists & British Psychological Society. All rights reserved.